1. Books. I'm currently reading books for the JLC12 hosted by Dolce Bellezza. So, I'm all about Japanese lit right now and I am LOVING it. 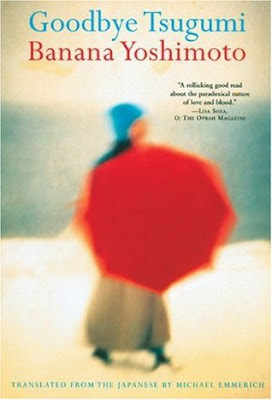 Banana Yoshimoto is up to bat at the moment and let me just say - I am smitten. 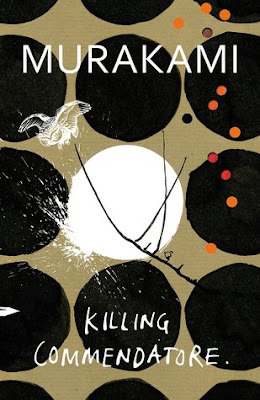 Next up might be Murakami's novel, Killing Commendatore. I've already read it (last October), but am tempted to read it again. Hmm...what do you think? Too soon? 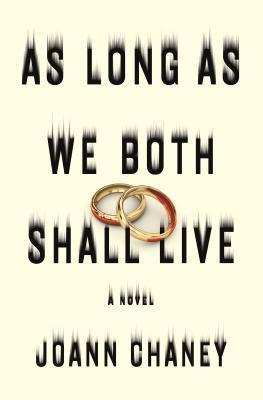 Oh, and I did manage to squeeze in a mystery/thriller titled, As Long as We Both Shall Live by Jo Ann Chaney. It was a quick read that had plenty of twists and turns, but overall I found it to be rather disappointing. The story centers on a man who is accused of killing his wife, because turns out he was accused of the same crime with his first wife. Yep, this is his second wife who has "fallen" over a cliff. Its pretty interesting when you find out what is really going on, but there is just something lacking in the story that leaves it rather bland. Oh well. 2. TV shows. I finally watched The Passage. I was hesitant, because I was worried it would not be as good as the book ( I LOVE the trilogy). And its not as good as the book, but it is still good. So, I'm a fan. I also just finished catching up with The Big Bang Theory - well, sort of. I still need to watch this last season that is currently on TV - I always forget how funny it is. Oh, and I binged the last half of the last season of Unbreakable Kimmy Schmidt. OMG! What a great slew of eps - LOVED them all so hard. My fave was when Titus was convinced the Punisher was after him for his fame - the best! I'm still watching Real Housewives of NJ - loads of unnecessary drama, which I love. And, I decided to rewatch The West Wing. I just love that show. I'm hoping to rewatch The X-Files soon, too. I'm just on a nostalgia binge for some reason. 3. Weezer. I heard that Weezer released an album called Teal. Its nothing but covers ( Africa, Sweet Dreams (Are Made of This), Billie Jean, No Scrubs, Stand By Me) and they are AWESOME. The band covers them straight - they don't mess around and change up the music or feel of the songs. Definitely a highlight of this week has been listening to this album on repeat. Actually makes me want to list to my old Weezer CDs. Hope you all are having a great week. Stay warm and happy reading!! I'm really bummed this is the last season of The Big Bang Theory. That's one of my favorite shows and really one of the only shows I watch anymore. We do like Young Sheldon - have you watched that one? It's so cute. My son has been all about that Weezer album. 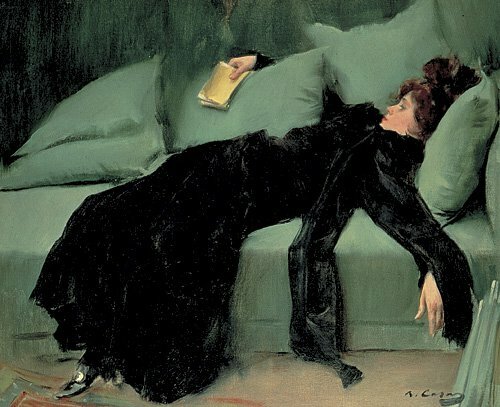 Once everyone hooked up on the Big Bang Theory I lost interest. It didn't seem realistic to me although I know the writing is still pretty tight. So you like The Passage? I have them recording but haven't sat down to watch yet. Doesn't Walking Dead start this weekend? Ti, yeah, the show did get a bit silly, but its still fun to watch. That's what it is - unrealistic. LOL! Yes, I really do like The Passage. I think I like it so much because I loved the books so much.